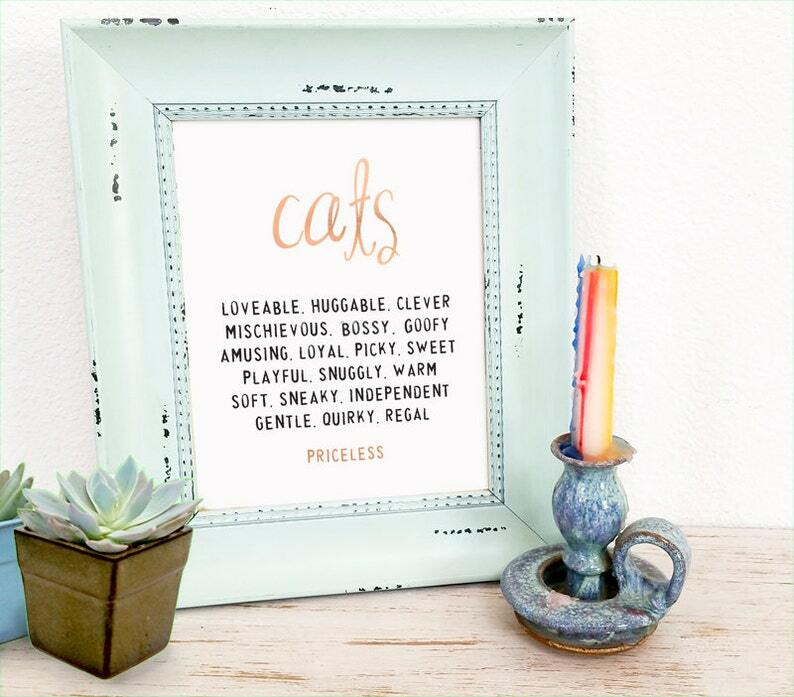 For all the Cat lovers, this 8x10" foil art print is a perfect way to display your adoration for the special animals in your life. Available in a variety of colors. Proudly display meaningful words about your special furry one with this 8x10" foil Typography Art fine quality print. *For Custom text replacement (such as a name or hobby), go to Color options and choose CUSTOM. Then add to cart. And then in "Note To Seller" specify the colors and text changes you are requesting. Love it. Can't wait to get it framed and hung.